Take the groomsmen and groom’s look to a new level with our distinguished pin stripe cufflinks. We’ll engrave initials on each for no extra cost! 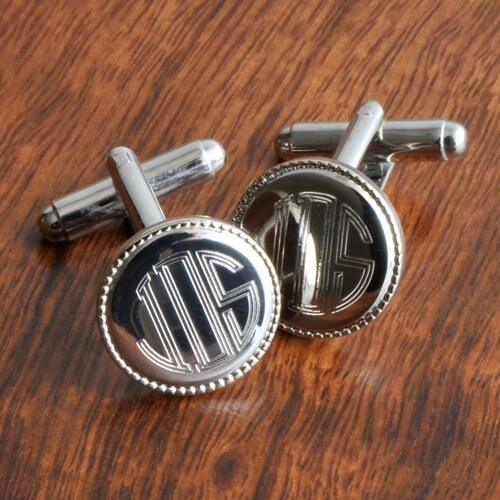 Classy is the name of our game with the Personalized Pin Stripe Cufflinks. These round silver-toned cuff links include a thin black inset stripe around the perimeter and a classic shank design. We’ll engrave for the groom, groomsmen, best man or father-of-the-groom to wear on the wedding day. They’ll also make a nice gift for your favorite guy for any special occasion. 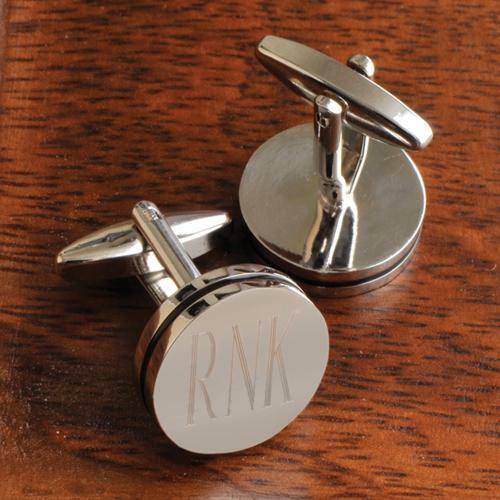 Engrave each cufflink with up to three initials at no additional cost. Each cufflink measures 5/8" (diameter) by 1" in length. Round and silver-toned with a thin black inset stripe around the perimeter. 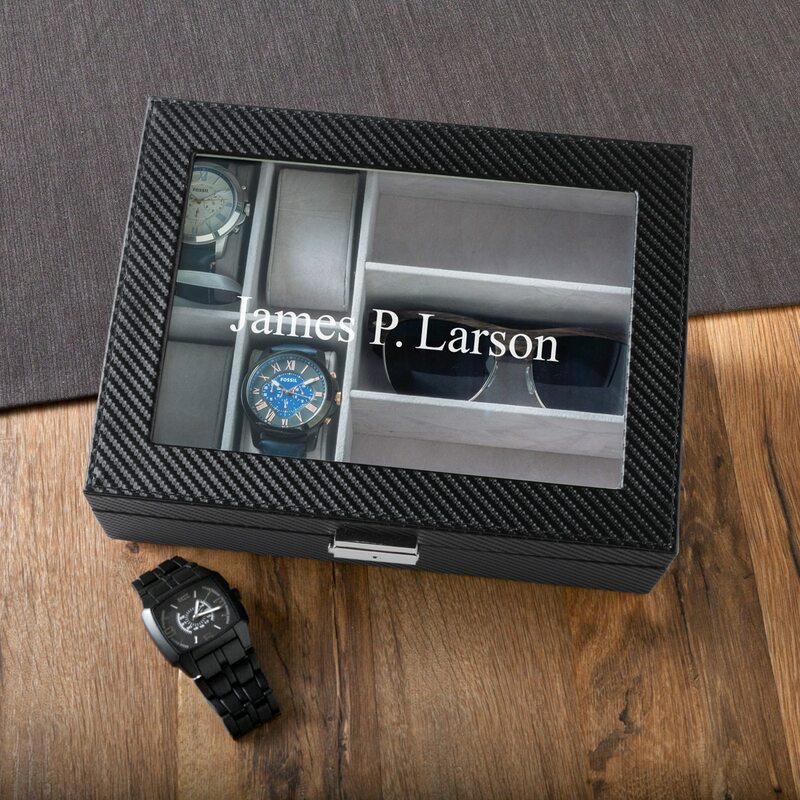 Gift boxed in a padded black coffin style case.